Get your Enervit race fuel now at a 10% discount! Entrants into the 2018 TOKEN Double90 Team Challenge can order their race fuel at discounted rates from our event nutrition sponsor, Enervit. Token Double90 participants get a 10% discount on all Enervit products. Products can be pre-ordered and will be available for collection at registration the Protea Hotel Clarens between 16h00-19h30. Pre-ordered product can also be collected in Cape Town and Johannesburg if pre-arranged – please contact Tess on tess@enervit.co.za to arrange. Additional product will be for sale during the latter part of Registration (16h00-19h30). 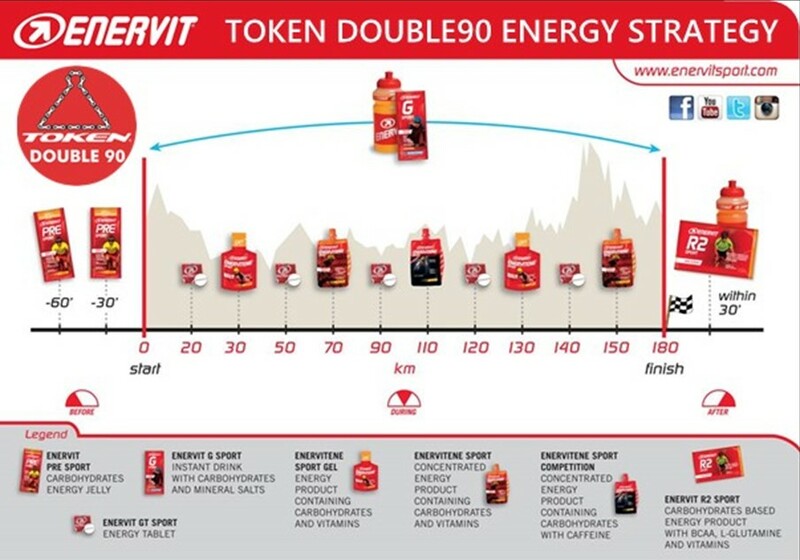 To order your Enervit product online now, please go to www.enervitsport.com/za/home and use the code malutid90.